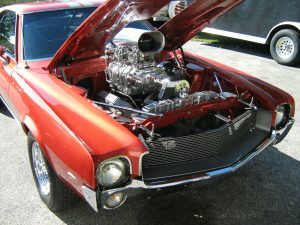 A Supercharger is an air compressor that increases the density of air supplied to the internal combustion engine. It gives each cycle of intake more oxygen that making the engine burn more fuel to increase the engine’s power output. They work the same way as turbochargers only that there is a difference in their power supplies. A turbocharger uses the exhaust system for energy while a supercharger directly sources its power from the engine. Increased power. A supercharger increases the power output by 50 to 100 percent making the engine strong enough to tow heavy loads and racing. This also adds excitement to the typical driving experience. Superchargers are easier and cheaper to install. Superchargers can be attached on the top or side of an engine which is easier as compared to turbocharger which requires modification of the exhaust system. No dramatic power reduction. In higher altitudes, the air is less dense and a normal engine only gets a small amount of air for combustion which results in a dramatic power reduction that lowers the performance of the vehicle. An engine equipped with a supercharger does not experience difficulties in higher altitudes, it still gets enough air since the supercharger is capable of pumping thin air. Superchargers are used in airplanes which spend most of their time in higher altitudes where there is less oxygen for combustion but their engines are still able to produce consistent and enough power needed to keep the plane moving. Supercharging can be used with automatic and manual transmissions without increasing transmission ware under normal driving. Environment-friendly. Supercharger reduces the amount of smoke released to the air. Air pushed into the cylinder undergoes complete combustion hence less smoke generation. Quick acceleration. Supercharger start working as soon as the engine is started. This gives the engine a boost from the beginning. All they need is a few seconds for warm up as they do well on normal temperatures. They are cheaper. The initial and maintenance cost of a supercharged car is cheaper than that of a turbocharged car. Turbo cars are more expensive as compared to supercharged cars. They have no shutdown procedures. Superchargers are not lubricated by engine oil and can be shut normally as opposed to turbochargers that need 30 sec to give the lubricating oil a chance to cool. Supercharger use engine power. They use approximately 20% of the engine’s total power output. The same job can is done by a turbocharger which does not rely on the engine power. Increased stress. The engine needs to be strong to handle the extra boost power. The high pressures and big explosions from the cylinder is additional stress to the engine. This is not put into consideration when designing the engine hence the piston head damages. Manufacturers are now using heavy-duty components for engines intended for supercharged. This results in an increase in manufacturing cost which in turn raises the price vehicles to become more expensive. Low mileage. Despite the fast speed supercharged cars have low mileage, this is because superchargers use air to increase power hence on overboosting the supercharger blows in hot air to the engine which may cause damage. 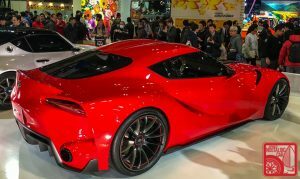 This is the main reason why turbocharged cars are more popular than supercharged cars. 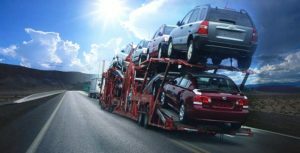 When shipping your car overseas there are a few service options that you could pick from. The first one is container service, roll on roll off service and lately air shipping. The first two are shipping by ship from one continent to another while the other is by air. When shipping your vehicle by sea, there are two options available to you. You could send using a container, which is where you have your sports car’s container then it is loaded on a ship then transported to the chosen destination. This is by no means an easy task. Your local moving company wouldn’t be able to help you out with this one. The second option is the roll-on roll-off service this process involves having your vehicle driven up a ramp into the boat and then parked on the deck next to other vehicles until it reaches your chosen destination. There are different ways of towing a car for you to choose from. 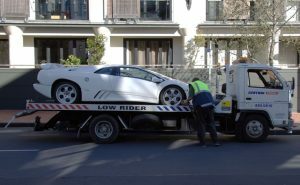 If you need your car towed to the location of your choice, you can choose either an inexpensive method or a costly one. Hook & Chain Tow Trucks can tow your car or any other cargo that you need to be transported. The method is relatively cheap; however, it is outdated because it exposes your car to a greater risk of being damaged. It is mostly used to transport wrecked cars to junkyards. Another inexpensive method is the Wheel-Lift Tow Truck. It uses a similar mechanism as the Hook & Chain Tow Truck but uses a metal yoke rather than chains. It is better than the latter approach because it exposes the towed vehicle to lesser damage. I wouldn’t advise anyone to use any of the two methods to tow a sports car.